I wouldn’t consider myself someone who journals all the time. I don’t keep one on my bedside table jotting down my thoughts from each day. No, I only write a journal during what I consider moments of personal growth. I never forget to pack one on international backpacking trips. 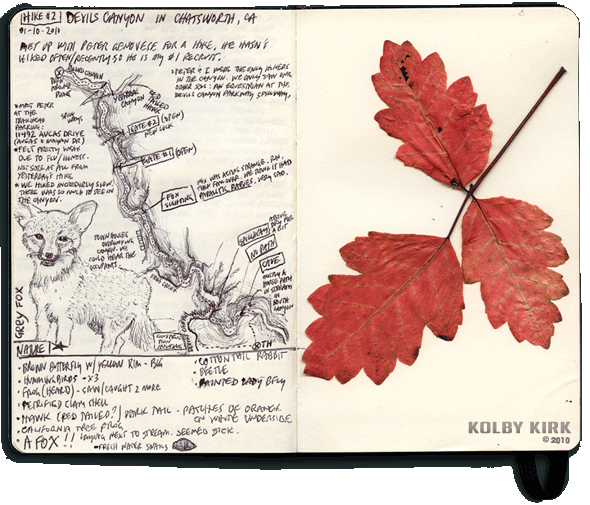 And I kept a detailed journal for my 100hikes project. So it seemed appropriate so start one for this new project. Here’s a scan of the entry from my second hike of 2010. 500 trail miles is quite a journey to take in one year. I wouldn’t be surprised if I end up filling more than one of these Moleskine journals along the way.